Home / Posts tagged "tax code"
Tax codes explained – are you on the wrong tax code? Is my tax code wrong? Tax codes dictate how much tax we lose from our wages and pensions. If they are wrong then the tax is wrong. If we don’t spot it then there is no guarantee that HMRC will! This is why understanding tax codes is important. Unless your tax code begins with a K, or is BR or D0, then there is a simple rule of thumb. Most tax codes show your tax-free allowances, but divided by 10. For example the standard tax-free Personal Allowance is £10,600. Divide this by 10 to get the tax code. Thus most people are on a code of 1060L. 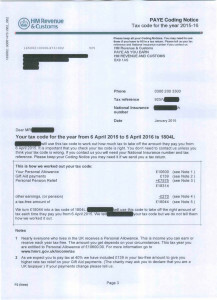 Sometimes HMRC will try to make adjustments to your tax code. This is normally a good thing. They are trying to have the correct amount of tax deducted from you over the year. In theory this should leave your tax correct at the year-end of 5 April. So your tax code may have extra allowances added – to give you extra tax relief. Or it may have things deducted – HMRC’s way of taxing some income. By far the most common adjustment is to reflect the state pension HMRC thinks you will get this year. State pension is taxable, though if that was all you earned it would be below the tax-free Personal Allowance. However if you have another source of income, and it is taxed at source, then HMRC will try to collect the tax due on both the pension and that other source, all from the same place. This can make it look like you are losing a lot of tax from your job or works pension. In fact you are losing the tax from two sources of income, but only having it taken off one! What if I think my tax code needs changed? If you are nervous about phoning them then write to them. The answer may take longer, but at least the answer will be in writing. You will have time to study it. If phoning then write down the date of the call and who you speak to. If you don’t understand part of what makes up your tax code – then ask for it to be explained. It is the tax official’s job to help you understand. What happens if code is wrong and I do nothing? Then your employer or pension provider will deduct the wrong amount of tax. Depending on the error, this may never be discovered by HMRC, and you could lose out. HMRC is normally told how much state pension you will get. They use this to adjust your code. The adjustments are NORMALLY correct. However I have seen some cases recently were people put off receiving their state pension for a few years. 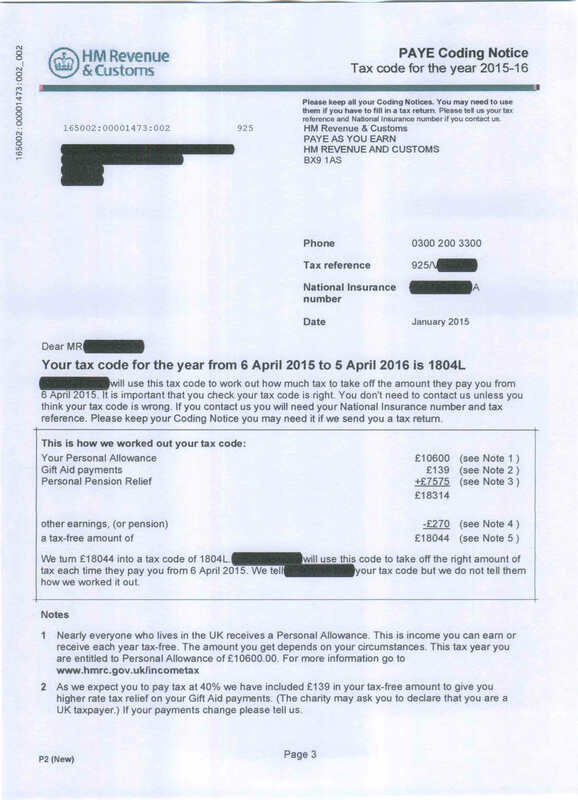 I found that HMRC was adjusting their tax code each year. In other words HMRC assumed they were getting the pension, and were taxing them too highly. One client was owed a tax refund of thousands. • BR – means deduct Basic Rate tax of 20%. Used for second jobs, extra pensions etc. • D0 – means deduct 40% tax. Used for second jobs where the person pays higher-rate tax. • K codes – mean the items deducted from the code are greater than the allowances, and you have a negative amount of tax-free allowances. The K code is roughly 10% of the negative allowances. These codes are most common with company cars or large state pensions. • Tax codes dictate the amount of tax your employer deducts. • They may be wrong, and the mistake can go undiscovered. • If in doubt ask HMRC to check your tax code. The author Adrian Huston, a former tax inspector, is a director of Belfast tax and accountancy firm Huston & Co – www.huston.co.uk or 028 9080 6080.